Organise your Pet Business in 2019! I’ve come to the conclusion that much of my stress in 2018 came from me being really unorganised and ‘winging it’ a little too much! I know some of us work better that way, but for me, I need things written down, clear and organised. Give me a spreadsheet any day!! It doesn’t need to be over complicated, create a system that works for you that you can keep up to date easily. Also be clear on what your system actually is. There’s no right or wrong with this, you are more likely to stick to a system you decide upon. I have been TERRIBLE at this! But it’s so important when you’re doing a physical job to make sure you have enough lunch and snacks to keep you going throughout the day. Trust me, feeling hungry is the quickest way to make you feel like crap! I’ve now got a healthy snack basket in my car with dried fruit just in case I need something in between walks. “Tidy house tidy mind” or “Tidy car tidy mind!” Personally i’m in my car for so long during the day it feels like my office and it can quickly get messy! Before I know it it’s full of mud, wrappers and receipts, making me feel bleugh! Give yourself 20 minutes or so once a week to tidy your car, it will make you feel so much better! Our jobs can be very erratic and all over the place so for me having a set routine morning and evening can make me feel more in control and relaxed. Everyone’s routine will be completely different but for me I like to make sure I give myself enough time in the morning to have a Cacao drink, feed and spend time with our pup Mia, and listen to a positive, feel good podcast or You Tube video while I’m getting ready. Don’t leave it to the last minute to do your Tax Return, trust me you’ll get stressed out and possibly get a shock when you find out how much you owe! Why not make it easier for your future self and record your incoming and outgoings as you go throughout the year. All it takes is a simple spreadsheet or even a notebook where you can jot things down as you go. Set aside time on the same day each week/month to work out your schedule. I like to do this on a Sunday ready for the Monday morning, checking that I’ve read everyone’s messages, got back to everyone and made any changes needed. One of THE most stressful tasks for us can be creating posts and content, and often doing it every day, as and when, can be overwhelming and cause us to post rubbish content that doesn’t benefit our businesses at all! Set aside time to switch off from everything else and concentrate on this only. This can be an afternoon once a week, a whole day once a month, an hour, whatever you can fit in. Once you have your content you can schedule it to go out so you’re not having to physically do this every day. 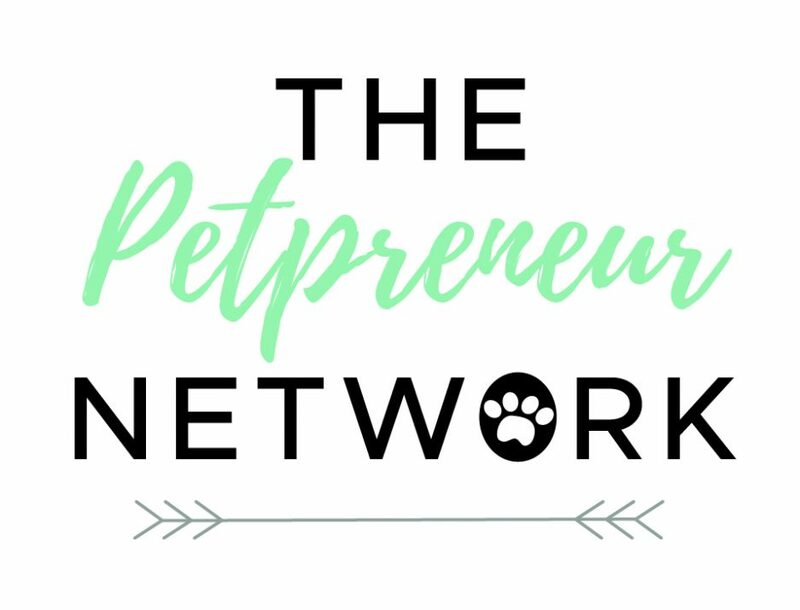 For more help with this I have a 30 day content planner for Petpreneurs below. A 30 day social media posting guide for Pet Business Owners. When everything is in your head its hard to make sense of it and remember it all! So get it all down on paper in whichever form you prefer. Once you know what you want to do you can work out how and the steps you need to take in order for you to complete each task. Give yourself time out of your business to relax, recharge your batteries and get those things done round the house and in your personal life that get left when we’re so busy with our work. I hope you all have a very happy New Year and successful 2019! I love nothing more than buying unique and different, hand made items from small or local businesses. Especially when it comes to pets! So here’s my top handpicked gifts for 2018! All accessories are handmade by Charlotte in Somerset. Order book for Christmas delivery is open until the 6th of December so get your orders in quick! Cathy is a super talented artist who hand draws all of her work. View her Pet Portraits and purchase her cards on the links below. Growlees have sooo many fabulous tags that come in various colours and come with free UK shipping! The organic coconut oil treats your dog will go nuts for! Inspired by adopted Staffy Harley. Hunter & hound all stems from love and passion. All treats are handmade with simply the finest, natural ingredients to ensure your furry friends tails will be wagging when they receive their Hunter & Hound treats this Christmas. Digital & Hand Drawn pet portraits by Kelly at MonKee. Prices start at £20 and can be mounted on canvas from £45. So unique! Reusable static cling stickers, creating themed environments for small animals.